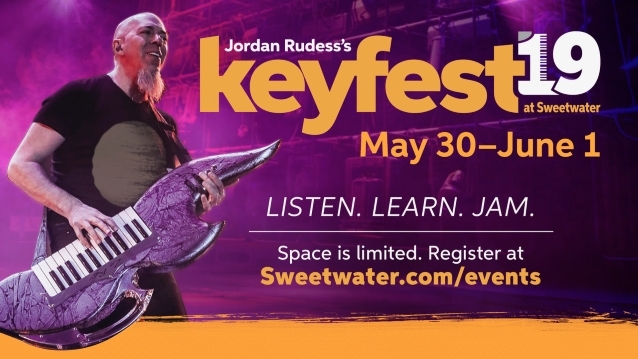 DREAM THEATER keyboardist Jordan Rudess has announced details for the fourth annual Jordan Rudess Keyfest, which will be held May 30, May 31 and June 1 at Sweetwater Sound in Fort Wayne, Indiana. KeyFest is a three-day interactive keyboard gathering with Rudess and guest artists David Rosenthal and Otmaro Ruiz. During the day, these three renowned keyboardists will lead workshops on essential skills ranging from the art of soloing, keyboard technique, sound design, music apps, improvisation and more. In the evenings, they will perform intimate concerts and lead the participants in jams and master classes. In addition to interactive experiences with guest artists, KeyFest also offers intensive clinics with keyboard and software manufacturers. "Besides all of the learning that happens during the workshops, the best part of the past three KeyFests was just having the chance to hang out with other keyboardists, share our musical ideas and geek out together," says Rudess. "Sweetwater is the ultimate musical instrument store, so it's the perfect setting for the ultimate keyboard gathering." Registration is open now at this location. 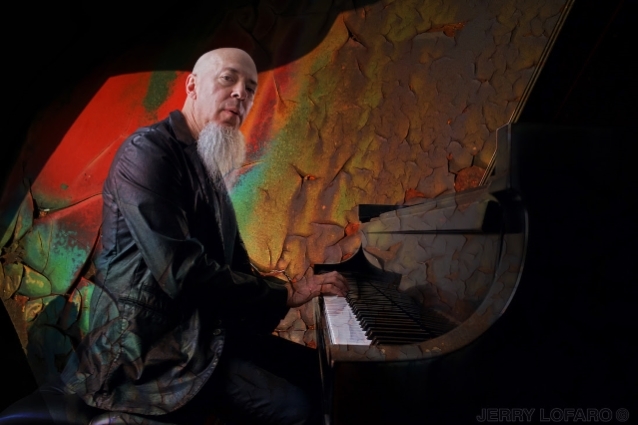 Voted "Best Keyboardist of All Time" (Music Radar), Rudess is best known as the keyboardist/multi-instrumentalist extraordinaire for platinum-selling Grammy-nominated prog rock band DREAM THEATER. He trained at the world-renowned Juilliard School Of Music, where he first studied as a child prodigy at age nine. As a teen, he defected to synthesizers in a classic act of rock ’n’ roll rebellion. 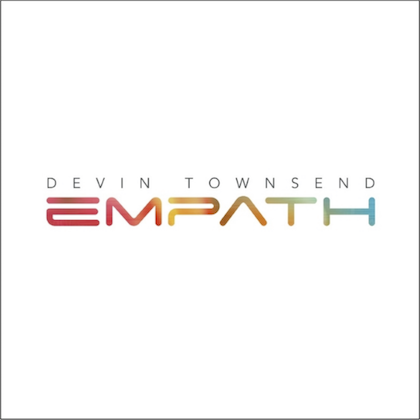 In 1994, Keyboard readers voted him "best new talent," and since then has become the universally acknowledged heir to the shredding throne of such prog-rock royalty as Keith Emerson and Rick Wakeman. He is renowned for his unique fusion of classical technique and influences with rock sensibilities. 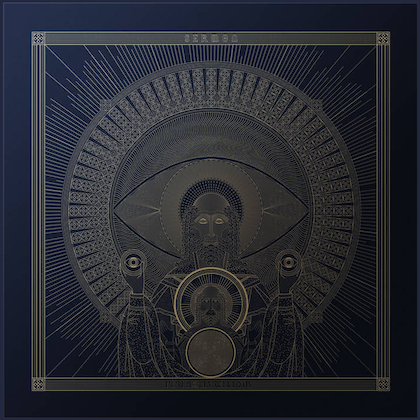 In addition to playing in DREAM THEATER, Jordan has worked with a wide range of artists including David Bowie, Jan Hammer, Enrique Iglesias, the PAUL WINTER CONSORT, Annie Haslam, LMR, his side project with Tony Levin and Marco Minneman, LIQUID TENSION EXPERIMENT, Steven Wilson, Aviv Geffen, the DIXIE DREGS, Rod Morgenstein and Tony Williams, among others. Jordan's interest in state-of-the-art keyboard controllers and music apps are another area of his career in which he has achieved success. Jordan owns the successful app-development company Wizdom Music, creators of award-winning apps such as MorphWiz, SampleWiz, and Geo Synthesizer. Wizdom Music's latest app, GeoShred, was created in collaboration with moForte, founding members of Stanford University's Sondius team.